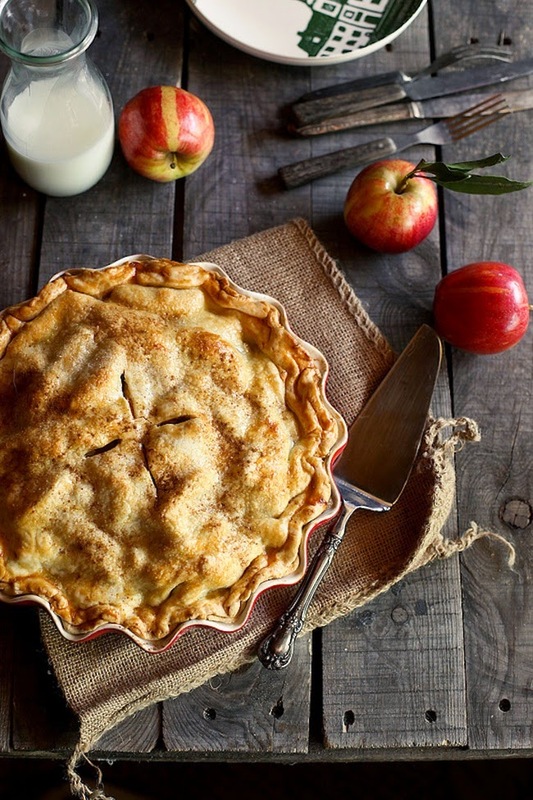 Do you have a favorite apple pie recipe? 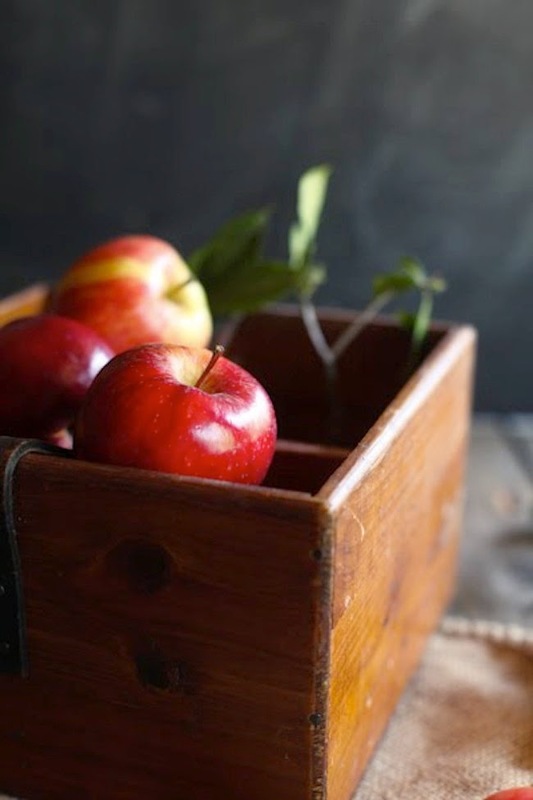 After my post yesterday about apple picking and thinking what I'm going to do with all my apples I started searching for apple pie recipes. But then I remembered I had bookmarked a recipe I read about on Cup of Jo a while back! Do you read her blog? You should - I love her! It's a RECIPE from Honey and Jam. Click on the 'recipe' link and check it out. It involves CARAMEL. Oohhh YUM. I bet it's plate licking worthy! Doesn't it look delish? I'm going to try baking it this weekend! Will be a good activity to do with my kids, since saturday looks like a rain day. UGH. But it may actually be a good thing and force us to stay home, chill, snuggle on the couch, watch movies, play board games, drink hot apple cider…not forgetting to take in big WHIFF's while the pie is in the oven. Ahh the smell of Autumn! 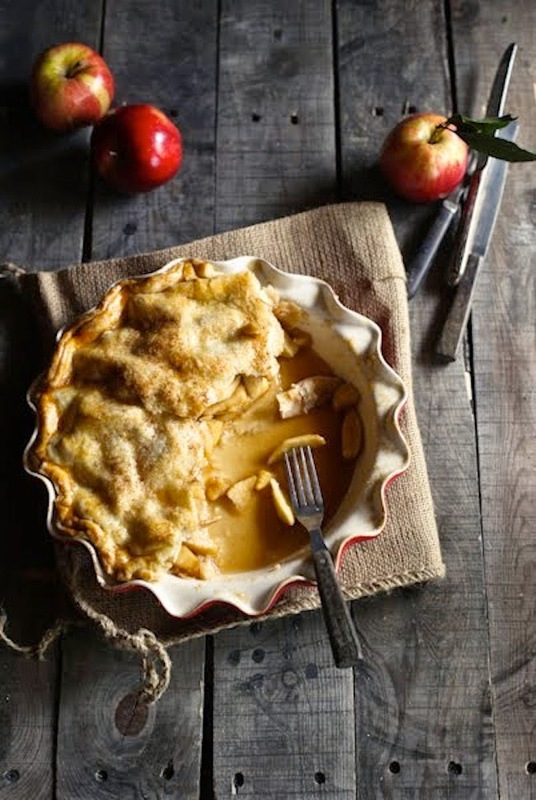 I love the smell of apple pie baking in the oven, don't you? If you don't hear me gripe about this CIDER CARAMEL APPLE PIE next week then you know I had my face stuck in a pie over the weekend! When it comes to food, GOOD food, I admit I've got zero self control! Not easy being a FOODIE! Happy eating!